Fans devoted to the master of comic fiction P. G. Wodehouse are legion. He represents an antic high point in the world of farce and social satire. Best known for the creation of two fictional worlds based on Blandings Castle and the Wooster-Jeeves gentleman-valet duo, Wodehouse is appreciated the world over for his exceedingly clever and comically savvy send-ups of the idle rich in Edwardian England. The series begins with two Wooster-Jeeves novels and one Blandings Castle novel. 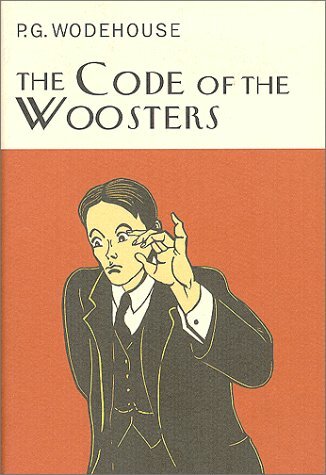 In The Code of the Woosters, it takes all the ingenuity of Jeeves, the "gentleman's gentleman" extraordinaire, to rescue his hapless and hopelessly obtuse young employer, Bertie Wooster, from the pickle of a plot to steal a silver jug from the home of an irascible magistrate. In Right Ho, Jeeves Bertie's old friend Gussie Fink-Nottle has fallen in love and, as usual, makes a hash of the affair until Jeeves comes to his rescue. Pigs Have Wings takes us to Blandings Castle, where a romantic comedy unfolds alongside the intrigue of the Fat Pig competition in Shropshire. With each volume edited and reset and printed on Scottish cream-wove, acid-free paper, sewn and bound in cloth, these novels are elegant additions to any Wodehouse fan's library.